Brad Christerson, professor of sociology, was thrust into the spotlight earlier this summer when his newly released book The Rise of Network Christianity: How Independent Leaders are Changing the Religious Landscape made national news. The book, published by Oxford University Press, focuses on Christian groups led by independent leaders that are increasing in size in comparison to the many denominations that have decreased in participation in recent years. As a Contributing Fellow at the USC Center for Religion and Civic Culture and recipient of a research grant from USC's Cecil Murray Center for Community Engagement, Christerson’s research explores the impact of churches and faith-based nonprofits on their communities using the methods of sociology. In addition to religion, he has written in the areas of race, ethnicity and globalization. Christerson teaches unique courses such as the sociology of death and dying, sociology of wealth and poverty, and urban sociology — a field experience class based in Los Angeles. Christerson co-authored The Rise of Network Christianity with Richard Flory, senior director of research and evaluation for USC’s Center for Religion and Civic Culture. Here, Christerson shares more about the book and ongoing research on religion in Los Angeles. 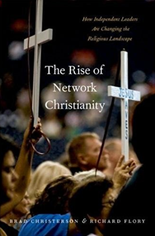 What inspired you to write The Rise of Network Christianity? I'm interested in the Christian groups that are growing now, at a time when a lot of churches and denominations are losing members. Pentecostal/Charismatic Christianity is the fastest growing Christian movement in the United States and the world. I was involved in the Pentecostal/Charismatic Research Initiative at USC's Center for Religion and Civic Culture which was a Templeton Foundation funded project to find out why this movement is growing so fast. The book is based on some of our findings. We found that the fastest growth in the U.S. is among what we call “Independent Network Charismatic” (INC) groups. Based on our research, we believe that INC Christianity is significantly changing the religious landscape in America. It is likely to influence the way people practice the Christian faith in the future. Can you give us a sneak peek into the book by sharing some of the reasons behind the rise in Network Christianity? This is a movement of independent Charismatic leaders who are organized by networks instead of official denominations. In this network form of governance there is no institutionalized oversight so these leaders can experiment with extreme supernatural experiences and unorthodox beliefs. This is attractive, particularly to young people, who want a direct encounter with the supernatural and a faith that they think can change the world. Examples of these INC groups would include Bethel in Redding, Calif., International House of Prayer (IHOP) in Kansas City, and Harvest International Ministries (HIM) in Pasadena, Calif.
You've also been working on additional research in the Los Angeles area. How did that work come about? I received a grant from USC's Cecil Murray Center for Community Engagement to develop ways of measuring the impact that churches and faith-based non-profit organizations in the Los Angeles area are having on their neighborhoods. Typically churches and faith-based community organizations don't collect data on the impact they are having on their communities, so it's hard to know if they are achieving their goals or to show outside funders how their neighborhoods have changed because of their work. Will the research be public soon and will you continue to do further work in this area? Our ultimate goal is to develop metrics that any faith-based organization can use to measure their impact on their communities. So the end product is not a book but rather research methods and metrics that we can share with churches and organizations to help them evaluate themselves and give evidence of the impact they are having to funders, foundations, and other constituents. When you became a sociologist, did you imagine you would be doing the type of research and work you are doing today? I really believe that the church is God's primary instrument for social change in the world. So I have always wanted my work to contribute to the Christian community in some way. So my research has always had implications for the church. For me it's been great to combine my Christian faith with my love of research in a way that hopefully benefits the church. 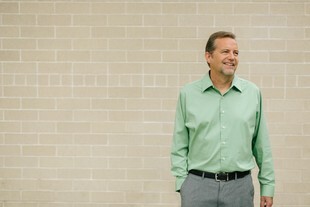 Brad Christerson is a professor of sociology at Biola University. He has written extensively in the areas of religion, race, ethnicity, and globalization. He is co-author of The Rise of Network Christianity: How Independent Leaders are Changing the Religious Landscape (Oxford University Press, 2017), Growing Up in America: The Power of Race in the Lives of Teens (Stanford University Press, 2010) and Against All Odds: The Struggle of Racial Integration in Religious Organizations (2005, New York University Press). Learn more about Biola’s sociology department.